Principles, Propositions and Discussions for Land and Freedom. Welcome to our homepage (under heavy (re)construction, sorry!)! 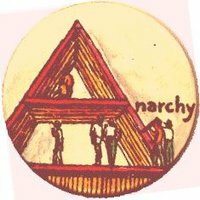 'Anarchy is Order' started as a DIYproject for the distribution and proliferation of anarchist texts and texts with relevance to anarchists. Both digitally (online and offline) and on paper. - WEBSITE: there are more complete and more advanced sites out there; we chose to focus on texts that are close to us and seem 'fundamental' for understanding anarchism. - CD/USBflashdrive: we gathered our collection in order to spread more cheaply and safely - your own offline searcheable database that you can build on with new texts (please send us a plain text copy and a PDF seperately). -PRINTING THE REVOLUTION: we chose to distribute printed versions - ideally anyone can become a local distribution point for anarchist propaganda. A printer and basic book binding skills or a small local printshop are all you need! the revolution will not be won on paper - our 'business' is to create! In the BLOG section we will try to offer some of our own texts and comments as we go along. 'if we can't dance, it's not our revolution'! Anarchy is Order - Get me some Action! I want to get involved! Send us your scans, help text- and spellcheck, etc. As you have noticed, we lack the skills to build a professional website. We DIY what we can, but help in designing a new website is very welcome. We're also looking for other ways to spread anarchist texts: dropbox, darkweb, deepweb, P2P, TOR, ... Your help would be most welcome!